Four-time Formula One world champion Lewis Hamilton and Mercedes hope to have a new long-term deal wrapped up before the season starts in Australia next month, both parties said on Thursday. 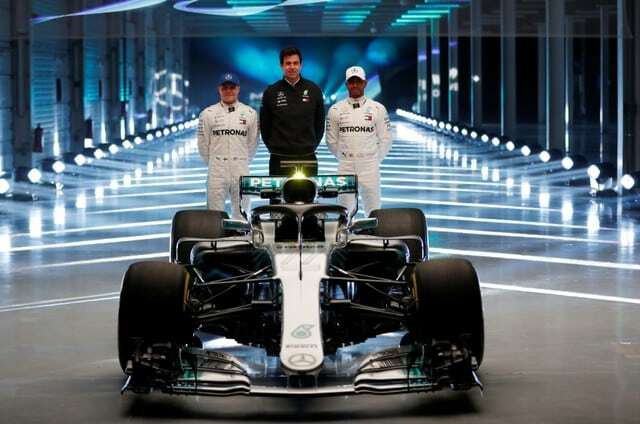 Speaking at the launch of the champions’ new W09 car at a damp and cold Silverstone circuit, Hamilton indicated the signing could come in a matter of weeks. “Hopefully we’ll have something done before the beginning of the season, before the start of the first race,” the 33-year-old Briton, whose current contract expires at the end of the year, told reporters. “But again, we’re just in no rush. There’s no reason to rush anything, there’s no panic. Wolff told reporters separately that he had spoken to Hamilton regularly by phone and through messaging and hoped to have the deal done within “a few weeks” and “the sooner the better”. “He (Hamilton) has been with the team six years so we are talking about extending that to a very long time with the same driver in the same team,” said the Austrian. Hamilton has been conducting his own negotiations with the team and said last November, after winning his fourth championship in Mexico, that he expected the talks to be straightforward. He explained on Thursday that he had not been away over the winter and preferred to discuss the detail in person. But he said there was no doubt about his commitment and that of the team. “In the whole six years that I’ve been here, I’ve not spoken to another team once,” he said. “I know the team have been contacted by other drivers in the past, and probably still do today, and that’s inevitable. But we always made it clear at the beginning if that I was to engage and look at my options, I would inform them. “I’ve not needed to,” he added. Hamilton has won three of his titles with Mercedes, missing out narrowly to now-retired team mate Nico Rosberg in 2016. He is now the most successful British driver of all time and favourite to become only the third five times champion after seven times title holder Michael Schumacher and the late Argentine Juan Manuel Fangio.